PEARL - ARES in Putnam County New York ARES, the Amateur Radio Emergency Service, was established in 1935 by the ARRL, American Radio Relay League. ARES differs from RACES in that it is independent of government agencies. Yes, operators must still follow the rules laid out by the FCC. 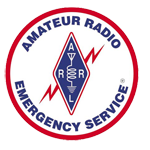 ARES is activated by the local Emergency Coordinator which is an ARRL appointed position. PEARL as well as the ARRL recommend dual membership in both organizations. That way members can be called out early to a potential emergency incident as ARES and just switch hats to RACES when the local government declares that the incident has become an emergency. There are four levels to the ARES organization -- national, section, district and local. The national level is coordinated at ARRL Headquarters. A Section Emergency Coordinator is appointed by the Section Manager. In sections where the number of local groups is very large, the section is divided into districts. Each district has a District Emergency Coordinator appointed by the Section Emergency Coordinator.That leaves the local level which is where the real emergency organizing gets done. The local Emergency Coordinator is appointed by the District Emergency Coordinator or the Section Emergency Coordinator if there is no District EC. ARES tends to support agencies such as the American Red Cross or the Salvation Army in disasters. Communications in ARES usually involves passing information such as the number of beds available at a given shelter.